Study and Stay in Nova Scotia - Special Program for International Students from the Philippines - Gateway to Canada | Canada Immigration Consultancy! Study and Stay in Nova Scotia Program is a Special Program for International Students from the Philippines. Students who successfully gain entry to the Study & Stay Program will travel to Canada to pursue their University or College studies in September of 2017. You have until April 15, 2017 to submit your application. The Study and Stay program is a Nova Scotia province wide cohort program that recruit 50 international students from three international markets, including Philippines. Students will receive specialized services and supports targeted toward their specific needs, such as assistance in cultural adaptation, English language and workplace communication skills, making meaningful workplace and other social connections. Students will be provided with enhanced support throughout their studies in Nova Scotia to ensure each student gains the education, tools, and community connections needed to launch a successful career and fulfilling life in Nova Scotia, Canada. Interested? 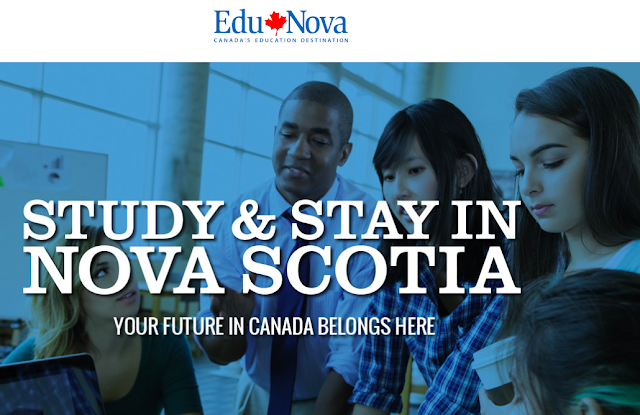 Visit http://studynovascotia.ca/study-and-stay/ for more information. How to apply for Visa to Canada? Students who successfully gain entry to the Study & Stay Program will travel to Canada to pursue their University or College studies in September of 2017. Students will be provided with enhanced support throughout their studies in Nova Scotia to ensure each student gains the education, tools, and community connections needed to launch a successful career and fulfilling life in Nova Scotia, Canada.